Don’t forget that creating a timeless web design is only a secondary consideration. Creating a good, usable, and targeted web design are your main priorities. 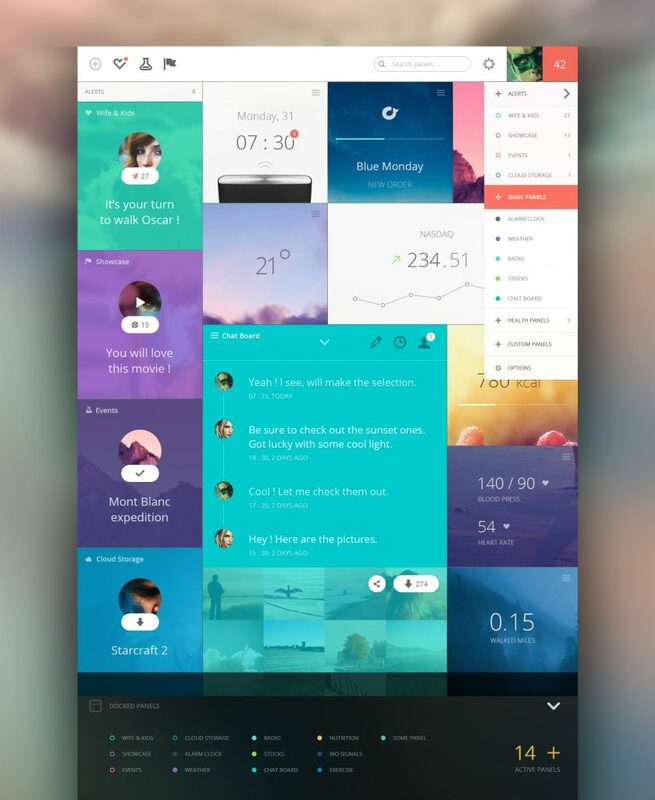 Here are seven tips to help you create web designs that will hold up in years to come. If you want to see examples of timeless design, then look at stuff that was designed in the past and still holds up today. 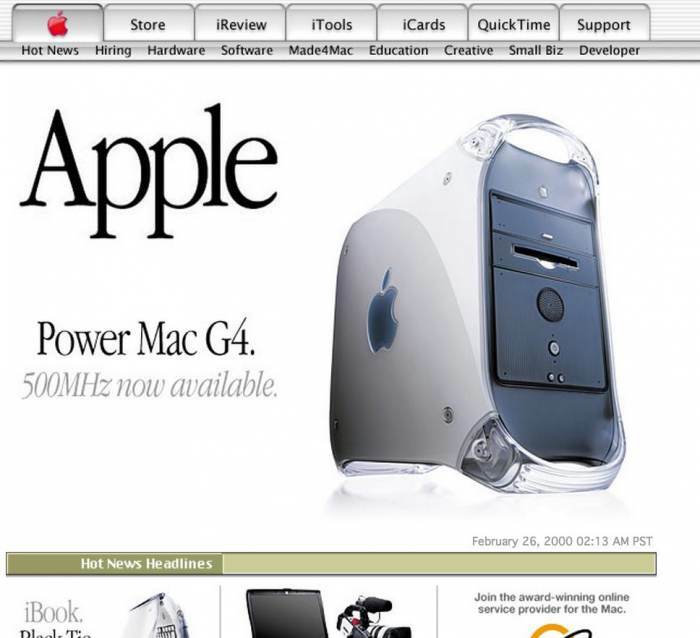 Take a look at the Apple web page below. It existed in the year 2000, and it still holds up today. If you were in a rush to create a web design, you only had 40 minutes to create something, and a temporary worker quickly created a web design similar to the Apple one above, wouldn’t you consider it? A gimmick may last a long time, but it will not be timeless. Taglines work under the same rules. Did you know that Coca Cola’s longest running tagline is, “The pause that refreshes.” It was created in 1927 and was used for decades, but it died off because it wasn’t timeless–it was a gimmick. The best tagline was from the Chicken Run movie, and it said, “Escape or die frying.” The tagline is brilliant, and the chicken’s escaping was a great gimmick of an idea, but it wasn’t timeless. Many timeless things have no gimmick and a strong identity. For example, look at the Godfather movies, they hold up today, and part of that is because they do not rely on a gimmick, and they have a strong identity. It stands to reason that simplicity is more timeless. The less you add, and the less complex a design is, then the less likely it is to fall out of favor with the public. However, being overly simple is not a good thing. Remember that you want a good design first, and a timeless design second. A blank sheet is timeless because it is very simple, but it is not a great design. As a web designer, you may not have a great deal of control over the content of the website, but if you do, keep to the point you are making. Sticking to the point is a key element of being timeless. The homepage image above loses some points because it doesn’t have a call to action, and it loses points because having a picture for a homepage is a gimmick. The navigation points appear if you hover your mouse cursor over the image, which is another gimmick, and gimmicks do not make timeless web designs. 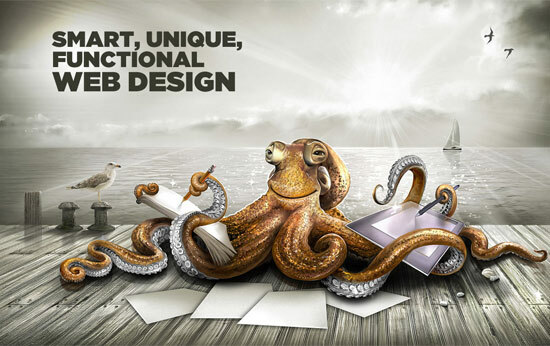 However, this web design company wins points because with a simple picture they make a powerful point. They tell you they are original, they show you they are professional, and they show to tell you that they work hard. Also, did you notice that the octopus is smiling; it’s a very clever marketing image. If your web designs include words, then steer clear of anything that includes time, especially if it includes years and so forth. Many web designers made the mistake of adding time-related words and elements near the Millennium. Many websites and businesses were “Ready for the new millennium,” and the sentiment was echoed all around their website and web design. Can you imagine showing a client a web design with the words, “Ready for the new millennium,” in the background? A creator owns copyright by default; it doesn’t need to be mentioned. If your client insists, ask if you can add the copyright notice without a date on it. Take a look at abandoned sites and you see copyright notices that say dates from years ago. It is a giveaway that the website is old, neglected, abandoned and far from timeless. In a perfect world, a truly timeless design should be able to fool people that it is still new and active when it is not. Obviously, many websites require constant updating otherwise they look dated very quickly. Why not make your design one that may be easily changed? In an era where dynamic content and responsive design is a genuine possibility, why not take advantage with a design that may be easily changed and altered. It would involve leaving the skeleton of the website design in one place, and then adding and removing content on the top of it. You could start simply with a website that consists of tiles that the webmaster fills the tiles with content whenever new content is needed. In essence, the website would remain timeless forever. A tile format is just one way in which you may create a skeleton design that never changes, and then new content is applied over the top of it. The screenshot example above shows how the tile technique may be used while maintaining a positive, pleasant and consistently good design. If you are looking at this article, it is probably because your client has asked you for a timeless web design. This means you are going to have to sell your design a little harder, but don’t worry too much because most people have no idea what a timeless web design looks like. Simply explain the features you added to make it timeless, and your client should be satisfied. This article is a guest post by Stacey Marone. Stacey is a freelance writer and a social media marketer working part-time on contract for a large consultancy firm in the US. She creates magnetic content optimized for search. In her free time, she also does volunteer work and organizes some activities for children. You can follow her on twitter.